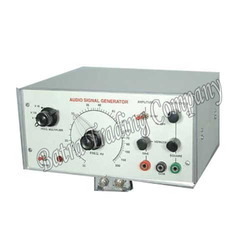 Our range of products include analog/discrete component trainer, bread board trainer kit, function generator, fet voltmeter and voltage control oscillator. Objective : A general purpose experimental board to construct projects of Digital Electronics. Board having:- two Nos Vertically Common Strip (Total 1280 Tie Points) and four Nos. Horizontally Common Strips (Total 400 Tie Points), DC Regulated Power Supply 5V/1Amp & one variable 0 - ±15V / 500mA. 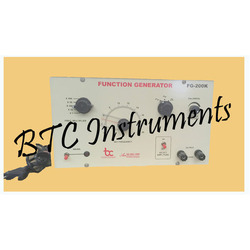 We offer our prestigious clients the premium quality range of Function Generator instrument. In synchronization with the set industry standards, our provided instrument is manufactured using high grade basic material and latest technology. Owing to its superior quality and long working life, this instrument is widely appreciated among our precious clients. Moreover, to ensure the best quality, the offered instrument is tested by our quality controllers against various quality parameters. Frequency Range : 20 Hz to 200 KHz in 4 Decade step. Square Wave : 0-15p/p Continuously variable. 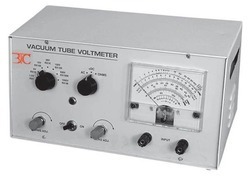 We are offering vacuum tube voltmeter ,. Frequency response : within range of 50cs to 5mcs flat. source of supply : 230volts 50cs ac. 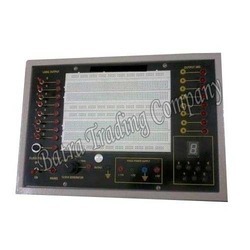 With the continuous support and sincere efforts put by our experienced professionals we have been the best manufacturer, trader and supplier to offer our clients a qualitative range of Voltage Control Oscillator. Our provided oscillator is manufactured under the guidance of our adept professionals using premium grade raw material and high-end technology. Offered oscillator is highly demanded among our clients owing to its long functional life and minimal maintenance. 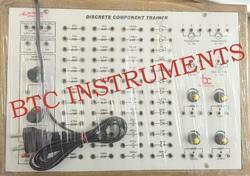 Looking for Oscillator & Function Generator Experiments ?